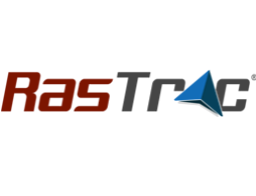 RASTRAC helps you manage your growing fleet of vehicles around the world. Fleet management solutions need to be efficient and constant, and RASTRAC’s comprehensive GPS tracking services help reduce your fuel waste, ensure on-schedule transport, and help you monitor your most valuable assets every inch of the way. RASTRAC knows that the cargo you’re transporting is an important asset, and so is the fleet of vehicles you rely on to get it where it needs to go. In order to help ensure successful, on-time delivery, RASTRAC can create an economical GPS vehicle and equipment tracking system for any-size operational fleet. Industries and businesses of all sizes have depended on RASTRAC to manage their fleets around the world. RASTRAC solutions have been proven in many global and local enterprises, including security, transportation, construction, government, education, and more.